SAN NARCISO, Calif. (Bennington Vale Evening Transcript) -- As the contentious gun rights debate rages through the chambers of Congress, a fringe group of weapons owners worries that new regulations could stifle their Second Amendment freedoms. Aldous Farstly, chief executive officer for the National Organization of Bomb Smiths (NOBS), cautions his cadre of bomb enthusiasts to stockpile supplies before "socialist lawmakers" clamp down on retailers such as Home Depot, RadioShack and Sears, which provide key parts for homemade explosive devices. But in the race to strip store shelves of pressure cookers, nails and other impoverished shrapnel, NOBS members will have to compete with domestic terrorists who are joining the rush to assemble IEDs in the wake of the successful bombing attacks in Boston last week. For companies suffering through dwindling profits and forced closures, the influx of new business is a welcome relief. Despite the simplicity of the bombs used during the Boston attacks, their destructive power was undeniable. In fact, the government declared the devices "weapons of mass destruction" when issuing the charges against 19-year-old Dzhokhar Tsarnaev, the surviving terrorist. Soon after the smoke cleared on April 15, investigators discovered that the bombs in Boston consisted of rudimentary explosives contained in ordinary pressure cookers filled with ball bearings, nails and shards of metal. They were concealed in heavy nylon bags. Pressure cooker explosives have been used in terrorist plots across Afghanistan, India, Nepal and Pakistan, according FBI and Homeland Security intelligence reports. Al Qaeda's Yemen branch routinely endorses them for lone-wolf operatives, and instructions for building the devices are readily available online. For manufacturers of the parts used, as well as the outlets that sell them, business has been booming. Cuisinart reported a significant spike in revenues as terrorists and bomb owners placed an unprecedented number of bulk orders online. Retailers such as Sears and JCPenney, which sell Cuisinart pressure cookers, also posted higher than average sales. "We couldn't be more excited about this increase in demand," said a spokesperson from JCPenney. Earlier this month, the company's board fired Ron Johnson, the recently installed CEO and former Apple executive, amid weak performance and lavish spending. "We can't keep pressure cookers in stock. At over $100 per unit, this trend could really help our turnaround toward profitability," the spokesperson added. Executives from Home Depot also announced above average earnings as U.S. bomb hobbyists and enemy combatants desperately flooded the aisles of the home improvement chain to grab boxes of nails, screws, metals fasteners, glass, ball bearings and other merchandise conducive to making dangerous shrapnel. 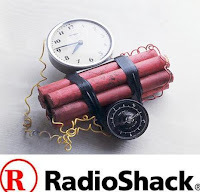 The best news came from RadioShack, which has been fighting to reverse years of decline and slumping sales after failing to compete against online electronics vendors like Amazon and modern, more relevant technology providers like Best Buy. 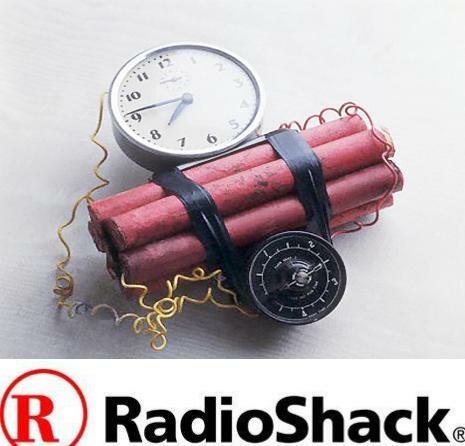 RadioShack's first-quarter losses widened under new CEO Joseph Magnacca -- in part because the business model and analog products are outdated. "It's amazing to see people in our stores who aren't looking for RCA cables or RC toys," said franchise owner Bud Gerkon. "These bombs actually require old circuit boards, chips and radio control components. I mean, they can take one of our build-your-own radio kits and make a detonator that can be activated by a cheap Casio watch. I'm generating money in this dump for the first time in years, and I'll do everything I can to maintain this momentum." Gerkon has even posted signs outside his shop that advertise "Kill a Combatant for Christ" and "You've Got Jihad? We've Got Answers." "Being a good businessman means being an equal opportunity promoter," he boasted. "I'm a capitalist, sure. But at the end of the day, I'm an American first. Selling bomb parts to responsible American bomb owners is my patriotic duty -- I'm helping to deter or counter enemy bombers by leveling the playing field." Weapons rights groups agree with Gerkon, and are encouraging bomb ownership. Thorn Havershabe, head of the San Narciso County chapter of the NRA, urged policy makers last Tuesday to enforce mandatory weapons ownership and carrying policies, extending to explosives. "Only good guys with bombs can stop bad guys with bombs," Havershabe declared, echoing the sentiments of NRA leader Wayne LaPierre. NOBS CEO Aldous Farstly couldn't agree more. Like the NRA, which he refers to as a sister outfit, Farstly sees lobbying for mandatory weapons ownership as the only solution to the dramatic increase in violent attacks on U.S. soil. "Tactically, the cleverest defense campaign ever conceived by this nation came during the Cold War, when the arms race ushered in an unprecedented era of peace through the threat of mutually assured destruction," Farstly said. "Peace through the threat of certain annihilation. Peace enforced through fear," he continued. "Had any of our NOBS been allowed to carry their IEDs, or even more advanced explosives, at the marathon, the two Chechen attackers would have abandoned their evil designs." If every would-be terrorist believed he was equally matched in bomb capabilities by his intended prey, suggests Farstly, a "happy stalemate" would ensue. "It's a virtual guarantee of amity through inaction," he offered. "If two opponents are perched on a silo filled with gasoline, armed with matches, who'd be foolish enough to strike a flame? That threat leads to the cessation of hostilities." And should one of the contenders impetuously decide to end the standoff in violence, that person would do so under the knowledge of certain death -- and failure. "Sure, everyone near the gas-filled silo would be obliterated, but so would the attacker," Farstly explained. "This is precisely why al Qaeda continually fails -- because their own operatives are dying in the process. We Americans outnumber them, and with our superior numbers we can exhaust their ammunition, wear them down and still have enough people left over to beat them when their resources run out."